UMD was one of only three U.S. public universities to place in the top 10 at the 2018 William Lowell Putnam Mathematical Competition. Junior biological sciences major Maria Chen admits she chose to attend the University of Maryland for its sports teams. “I couldn’t even bring myself to apply to any colleges that were Maryland’s rivals in sports,” said Chen, who grew up in nearby Germantown and followed UMD athletics during high school. To her joy, Chen not only gained acceptance into UMD's Integrated Life Sciences program in the Honors College, but also received the inaugural Clay Siegall Scholarship. The full, four-year scholarship for a life science major was created by Siegall (B.S. ’82, zoology), the founder and CEO of Seattle Genetics. 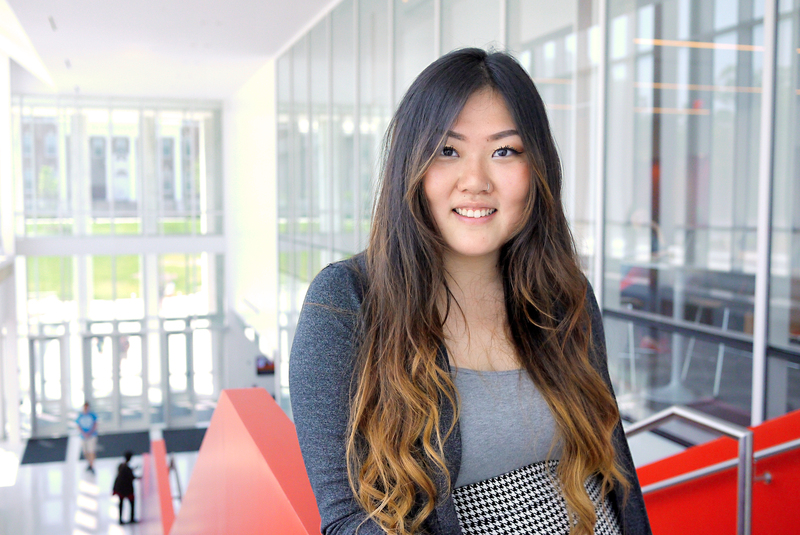 When she graduates from UMD, Chen plans to attend medical school. Although she was afraid of blood as a child, volunteering at hospitals during high school changed Chen’s mind about pursuing a career in medicine. This decision thrilled Chen’s grandmother, who had been one of the only women in her medical school class in China. To gain clinical experience, Chen began working at Washington Adventist Hospital in Takoma Park, Maryland, in 2016. As a scribe in the emergency room, Chen created charts for doctors while they treated patients. In 2017, Chen's interest in medicine led her to join electrical and computer engineering major Erich Meissner and computer science major Kyle Liu in the Do Good Challenge, a campus initiative that encourages students to develop solutions for social problems. Meissner's grandmother had recently suffered a fall and lost consciousness. This motivated Meissner, Chen and Liu to start a company, Symbiont Health, to develop a device that automatically detects when a person falls down. Symbiont won the 2018 Pitch Dingman Competition—UMD's annual student-only business competition—and placed first in UMD’s 2018 Do Good Challenge. Chen and her teammates also received the Social Entrepreneur of the Year award at the Robert H. Smith School of Business’s 2018 Rudy Awards. “I had no business experience and felt intimidated at first,” Chen said. “But I was passionate about Symbiont because our device sends alerts even if the person who fell is unconscious. I love that we can reach patients who don't realize that they need help." As Symbiont’s chief medical officer, Chen surveyed medical communities and used their feedback to improve patient satisfaction, such as pivoting from a wearable device to a home-based system. Chen now works with caregivers to learn how Symbiont can help reduce their stress and provide better care to patients. 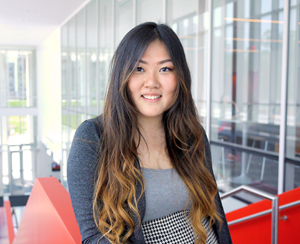 This summer, Chen will learn from another successful entrepreneur when she interns with Siegall at his company, which develops antibody-based treatments for cancer. When she returns to campus in the fall, Chen will continue studying and working at Symbiont. She will also return to Washington Adventist Hospital, this time as chief scribe in the emergency room. And she will still make time for her first love: Maryland athletics.